Immerse yourself in a heart-pumping, forest experience in Swope Park, Kansas City. 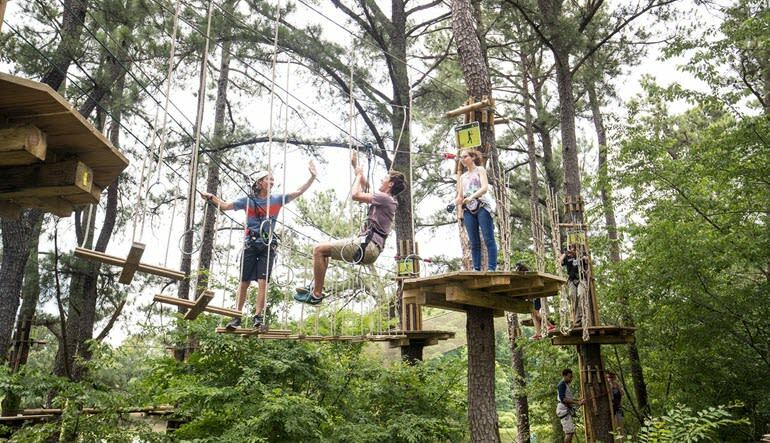 Five ziplines, 2 Tarzan swings, and a multitude of other obstacles make this adventure the liveliest in Missouri! Immerse yourself in a heart-pumping, 2 to 3 hour forest experience! Swope Park, Kansas City’s largest public green space, is your destination for the big adventure. 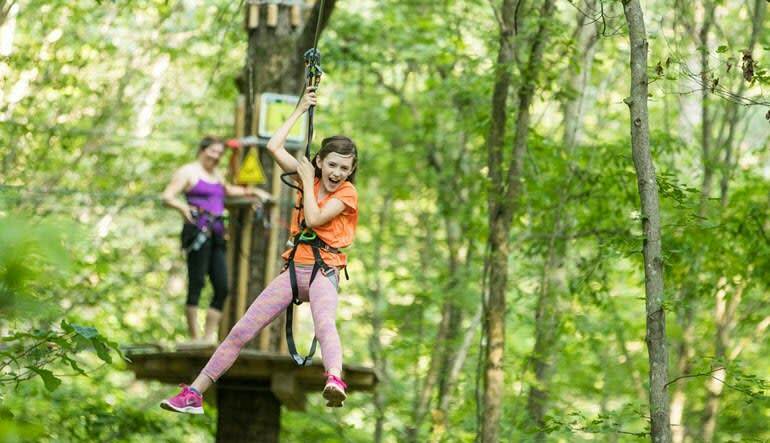 Deep within the park’s dense forest and high up in the trees, you and your gang will swing, zip, climb, and conquer this celebrated canopy tour. Five ziplines (each with a view better than the last! ), 2 Tarzan swings, a plank crossing, and many more obstacles make this teambuilding experience the liveliest in Missouri. Challenge yourself and motivate others as you race to the finish! 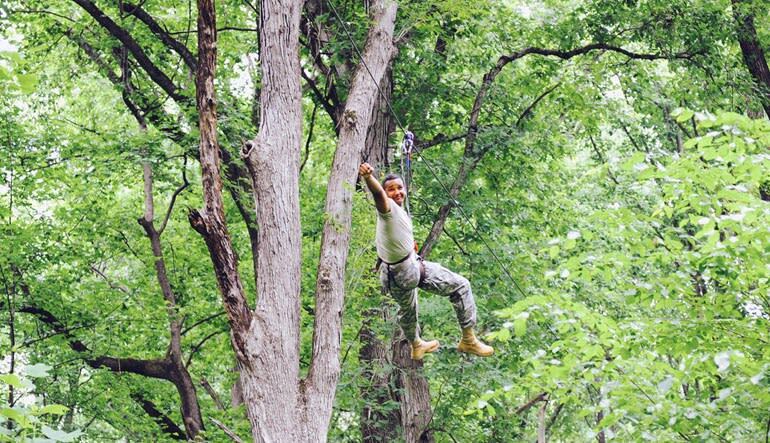 Experience a 2 to 3 hour zipline and canopy tour in Kansas City’s Swope Park! Learn about the gear and be privy to the safety precautions with a 30-minute training session. Swoop platform to platform on 5 daring ziplines! Swing from one treetop to the next on 2 Tarzan swings! Cross wobbly bridges and climb other exciting obstacles! Even if you have a fear of heights, the guides are there to lend a hand and your friends’ encouraging calls will help you overcome any trepidation! Put yourself to the test today! Everyone that worked there was very nice and helpful, was a great experience.